Nothing says summertime quite like the grill, and trust me, it doesn’t have to be complicated. Make sure your grill is HOT, your food is seasoned properly, and that you leave your food alone while it’s cooking. Seriously, don’t turn it too much. Also, make sure you bring you proteins to room temp for 30 minutes before you throw it on the grill. Too cold of meat on a hot surface chars the outside and undercooks the inside. Ok, now that you have my tips, tricks, and recipes, it’s time to get grilling! In a saucepan, heat tomatoes, garlic, Italian seasoning, red pepper flakes and bay leaf. Let simmer for 30 minutes. Remove from heat and remove Bay leaf. Preheat grill on High. Preheat oven to 350 degrees. Lightly coat chicken breasts with olive oil, salt and pepper. Grill chicken on each side for 5 minutes. Transfer chicken to a baking dish and cover with tomato sauce. 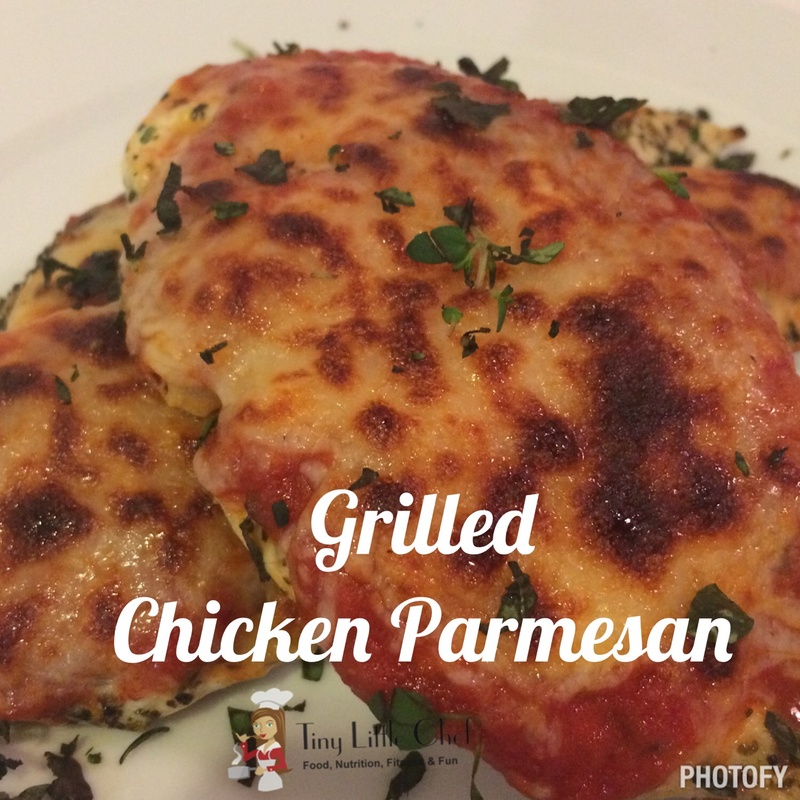 Sprinkle Mozzarella and Parmesan on top of the chicken. Bake for 35-45 minutes, or until cheese is brown and bubbly. In a bowl, combine the oil, soy sauce, house seasoning, and ginger. Mix until well incorporated. Add pork chops to oil and seasoning mixture and let marinate a minimum of 2 hours in refrigerator. Remove from refrigerator, and let pork come to room temperature for 30 minutes. Heat grill to 300-350 degrees. Put on the pork chops once grill is heated thoroughly. TIP: Do not move meat more than twice during grilling. 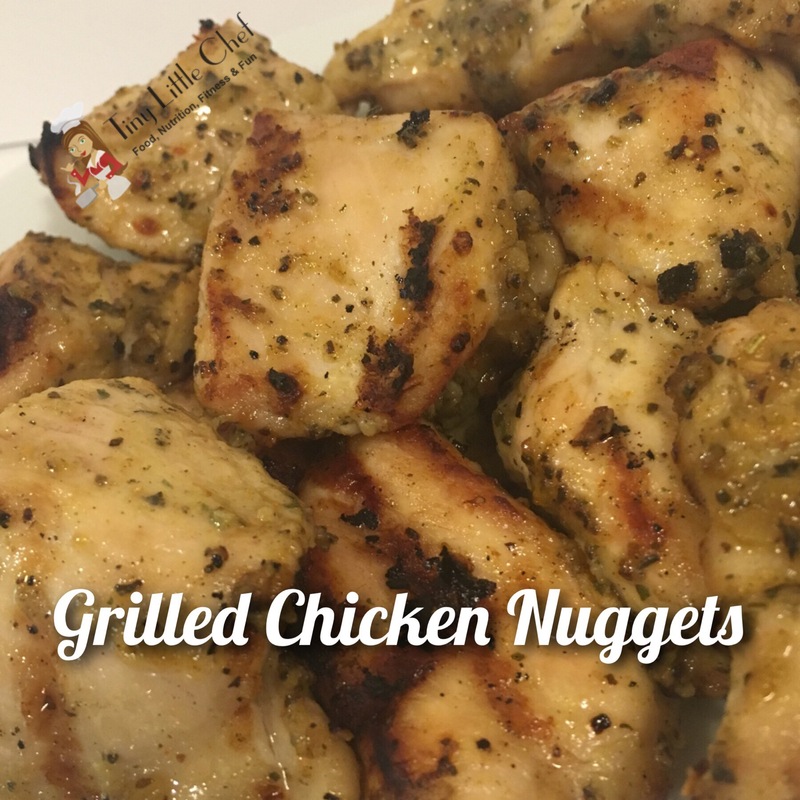 Cut chicken into large chunks. In a bowl, mix together the oil, vinegar, and seasonings. 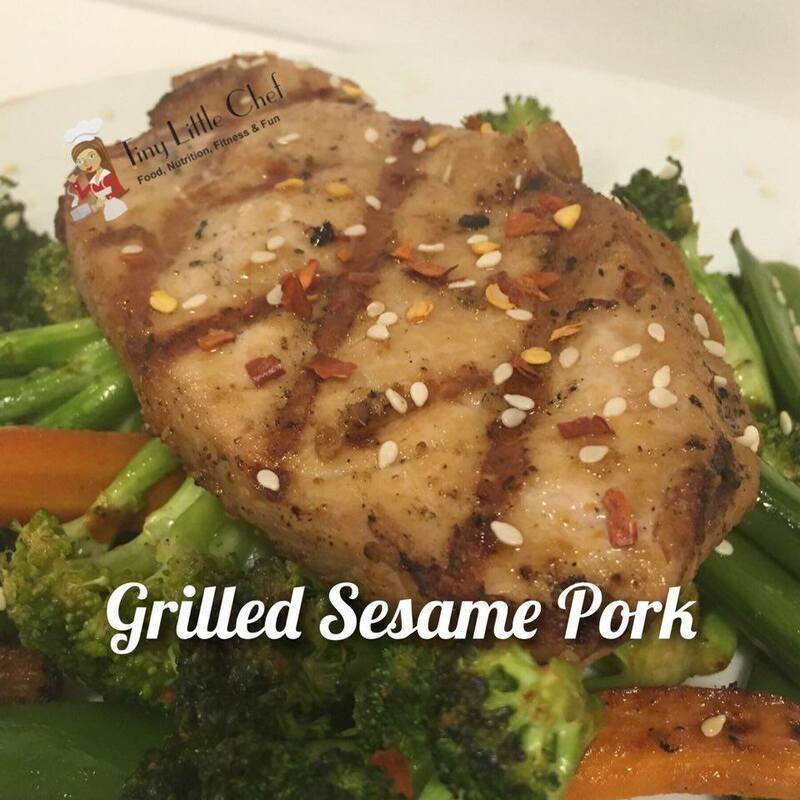 Combine chicken with marinade, put in an airtight container, and let marinate 4-6 hours. (Overnight or all day is great for this! Remove chicken from the fridge and let come to room temp a minimum of 30 minutes. Heat grill to 325-350 degrees. Grill the nuggets approximately 4 minutes each side, depending o the size. In a bowl, combine the turkey and seasonings. Cover with saran wrap and refrigerate a minimum of 3 hours. Remove turkey mixture from the fridge and portion into 4 burgers. Grill or broil approximately 4 minutes on first side, and then flip. 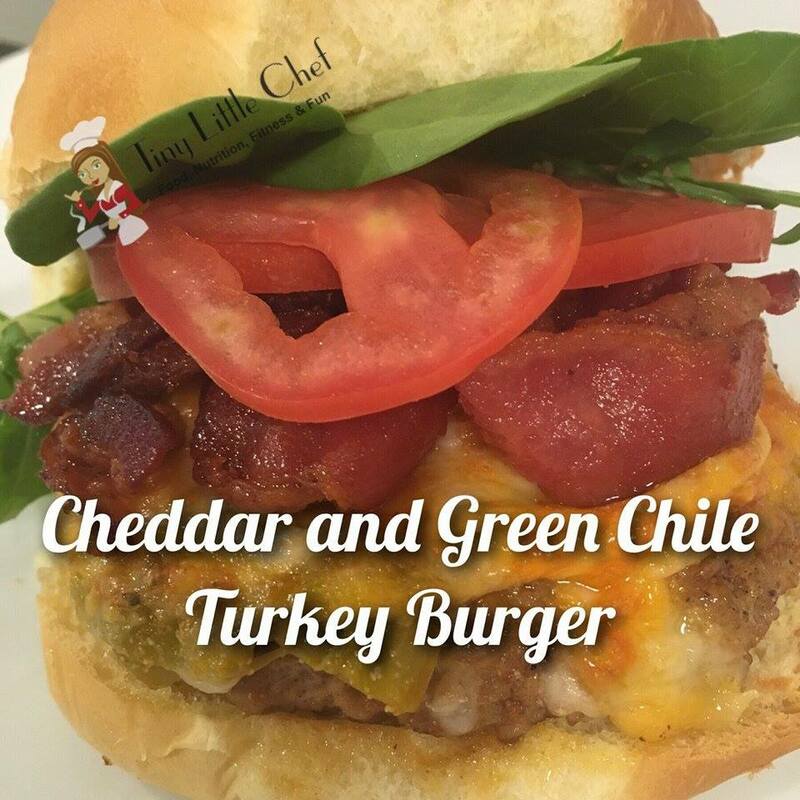 Top with the green chiles and cheddar and continue until the cheese is bubbly and brown and the burger is fully cooked. Copyright © 2019 Tiny Little Chef. Powered by WordPress and Drop Shipping.